The phenomenal Underwater Waterfall in Mauritius is one of the most unique geological formations in the world. 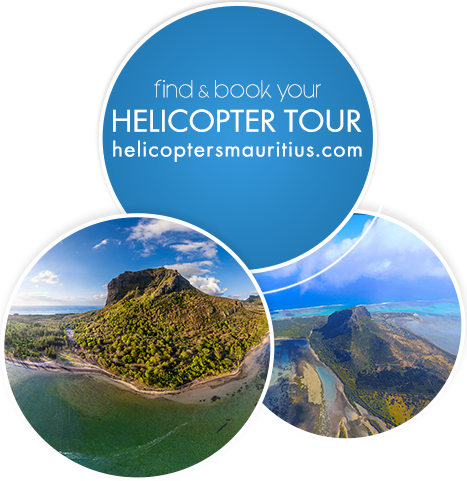 Located in the southern-west tip of the island near the UNESCO World Heritage site of Le Morne Brabant, this dramatic and out of the ordinary, geological phenomenon offers an outstanding bird’s eye view. The mystery behind this fascinating phenomenon is actually a spectacular optical illusion- there is no underwater waterfall but there simply seems to be one. This can be explained by the fact that Mauritius was created around 8 million years ago compared to its surrounding islands like La Reunion and Rodrigues. These islands were formed by volcanic eruptions to form what is now known as the Mascarene Islands in the Indian Ocean. The islands sit upon one of the largest Submarine Plateaus (Ocean Shelf) in the Indian Ocean, no deeper than 150 meters below the sea level. On the shelf’s edge, there is a ‘drop-off’, plunging down to over 4000 meters deep into the abyss. Due to this formation, sand from the nearby beaches is forced off the plateau by oceanic currents, thus giving the impression of water falling. The phenomenal underwater waterfall is located just off the coast of Le Morne, another famous landmark of Mauritius- declared a UNESCO World Heritage Site. This immense basaltic rock rises above 550 metres and it sits around a wild landscape inspiring an unspoilt beauty. Mostly known as a historical and cultural site, Le Morne Brabant was once used as a refuge for the runaway slaves, and who eventually leapt to their deaths from the summit in order to avoid being tortured. Dating back to the colonial period, the slaves were facing many atrocities and corporal punishments while toiling the fields. Due to the inhumane conditions inflicted by their masters, the slaves took the gut to flee to the forests and some committed suicide. Besides it’s historical significance, Le Morne is home to two rare plant species, notably the Mandrinette and the national flower Boucle D’Oreille. The site also has many caves and overhangs found on the steep slopes. From a helicopter you can easily see details of the summit where you will find lush, wild vegetation flourishing on the fertile plateau. Undeniably spectacular and breath-taking, this illusory underwater waterfall can be best seen from a helicopter. When you view this incredible formation from different aerial angles, the ocean serves as a spectrum of different colours: whites, greens and blues giving a sense of a 3-dimensional underwater waterfall. Enjoy the dramatic view of this part of the island- one which is truly unique in the world!